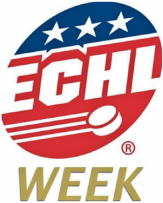 Interested in finding out more about how ECHL Week can put your message in front of thousands of rabid hockey fans all over North America? Click here to go to the site for Double S Media, the company which produces the only multi-media program about a minor-pro hockey league. Rate card details can be accessed here.